Juana Mora, a professor of Chicana/o studies at California State University, Northridge, has been elected to a national education board dedicated to ensuring Latino students have the support they need to succeed in college. Mora, who serves as assistant to the provost on Hispanic Serving Institutions (HSI) and Diversity Initiatives, was elected last month to the Alliance of Hispanic Serving Institution Educators (AHSIE) Council. She will attend her first meeting of the council later this month. “Hispanic Serving Institution” is a designation the federal government bestows on those universities and colleges that have a full-time undergraduate student populations that is at least 25 percent Hispanic. The designation makes them eligible for Title V funding through the U.S. Department of Education. The Alliance of Hispanic Serving Institution Educators was created to support the work of Hispanic Serving Institutions (HSIs) across the nation as they seek to provide quality educational opportunities to their students and communities. Mora was born in Jalisco, Mexico, and immigrated to the United States with her parents and seven siblings in 1960. She is the first member of her family to attend college. She worked after school to help her family and received financial support to attend the University of California at Santa Cruz, where she received bachelor’s degree in linguistics. She was awarded a Ford Foundation Fellowship to attend Stanford University, where she earned her doctorate in education. Mora, who has taught at CSUN for the past 23 years, is a nationally recognized expert on Latina/o culturally focused substance-abuse treatment and prevention, and has developed and taught courses on Latino families and women. Her most recent research has focused on the development of community-based research partnerships for the improvement of Latino community health. 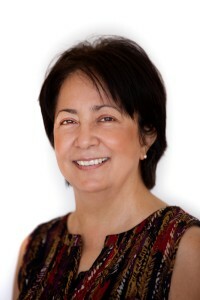 She co-edited the book “Latino Social Policy: A Participatory Research Model,” which highlights lessons learned and best practices in Chicano community-based health research.